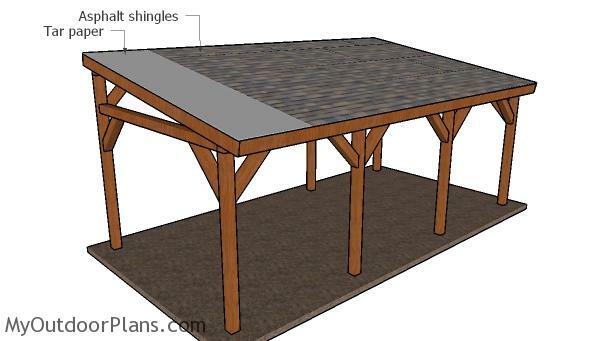 This step by step diy project is about 12×24 carport gable roof plans. This is PART 2 of the large lean to carport project, where I show you how to build the roof and how to attach the decorative trims. 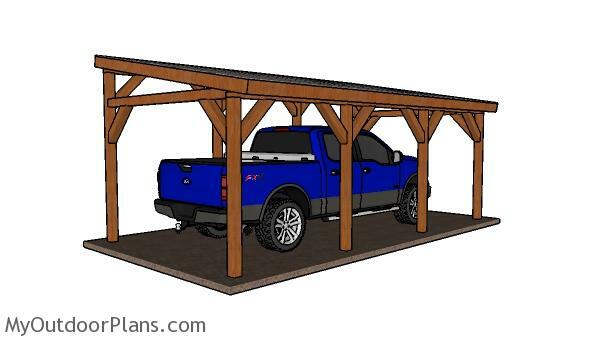 This carport is ideal if you want to save space in your yard or place it near the property line. You can even easily modify my plans and turn it into an attached carport. Take a look over the rest of my woodworking plans, if you want to get more building inspiration. The first step of the project is to build the rafters for the single car carport. Therefore, you should use 2×6 lumber. Mark the cut lines on the beams and then get the job done with a saw. Smooth the edges with sandpaper for a professional result. 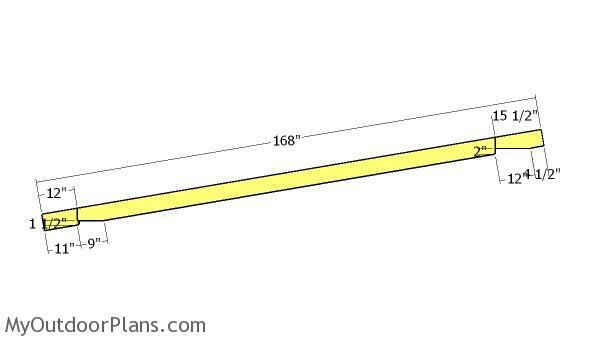 Fit the rafters to the top of the single car carport, making sure you place them every 16″ on center. 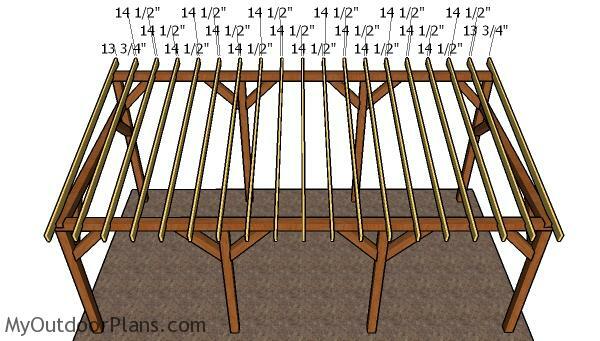 Use a spirit level to plumb the trusses and lock them to the support beams with rafter ties. 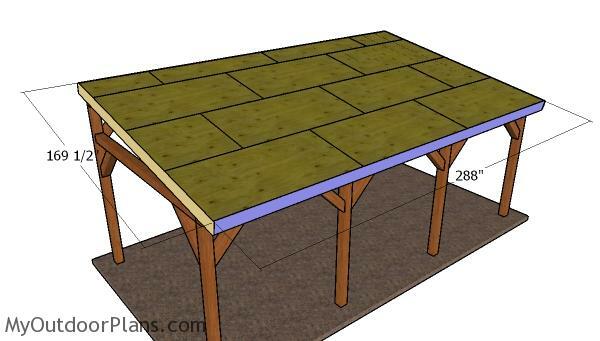 Attach 3/4″ plywood sheets to the top of the carport. Start with the bottom left section of the carport and go up to the top. Leave no gaps between the sheets and secure them into place with 1 5/8″ screws or nails. 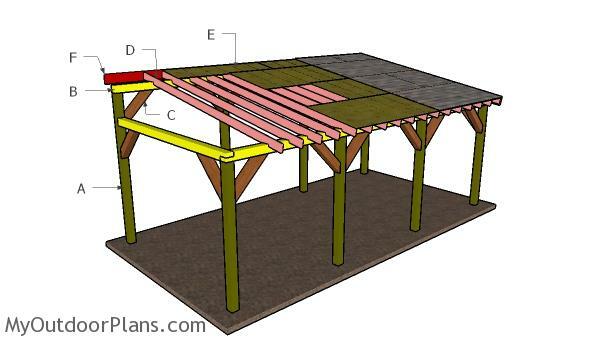 Ideally, you should use tongue and groove roof sheets. Fit 1×8 trims to the sides of the carport, so you cover the ends of the rafters. Use 2″ brad nails to secure the trims into place. Align the edges with attention for a professional result. Install the roofing felt, starting from the bottom left of the roof. Secure the paper to the roofing, using a stapler. Make sure the tar paper overlaps at least 2”. Don’t forget to cover the top ridge with a 14” strip of paper. Start the first course of shingles with a full tab, the second with 2 1/2 tabs, the third with 2 tabs, the forth with 1 1/2 tabs, the fifth with 1 tab, the sixth with half tab and the seventh with a 3 tabs. Last but not least, fill the holes with wood putty and let it dry out for a few hours. Sand the whole surface with sandpaper and then apply a few coats of paint or stain to enhance the look of the carport and to protect the components from decay. This project can be built in less than one week and it will serve you for many, many years in a row. 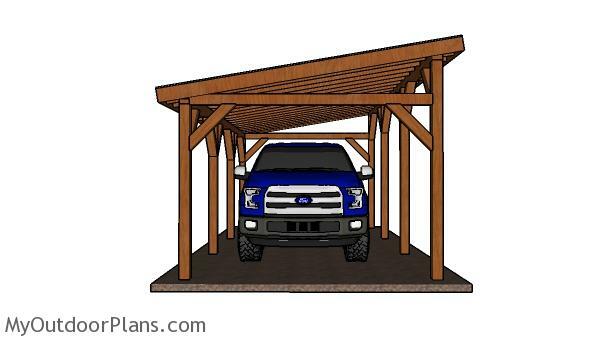 This large carport is easy to build and fairly budget friendly. I recommend you to read the local building codes before starting the project, so you make sure you comply with the local building codes. Check out PART 1 of the project. 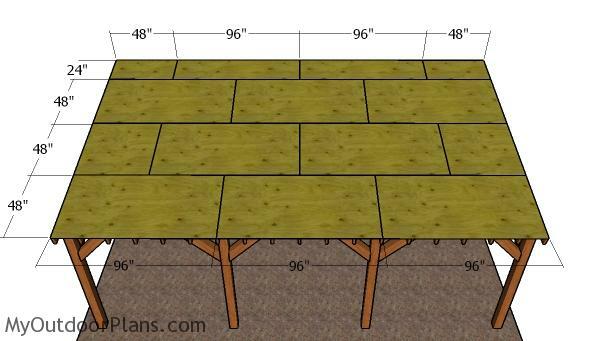 This woodworking project was about 12×24 carport lean to roof plans free. If you want to see more outdoor plans, check out the rest of our step by step projects and follow the instructions to obtain a professional result.